Rosslare (or Rosslare Strand) in Ireland is, according to the locals, the sunniest place in the country. This strange idea is actually a true fact, since researchers checked up on the claim, and discovered that Rosslare has 300 more hours of sunshine each year than anywhere else in Ireland! So if you are visiting the ‘sunny south east’, where else might you want to go? Enniscorthy is just 17 miles from Rosslare, and has a lot of history amongst its pretty streets and buildings. The second largest town in County Wexford, Enniscorthy has been continuously occupied since 465AD, making it the oldest settlement in Ireland. Enniscorthy Castle (built in 1205) was once leased by poet Edmund Spenser during the 1580s. The site of many a fierce battle, the castle was opened to the public in 1962. After a major refurbishment that was completed in 2011, the castle now boasts a collection of rare medieval art, as well as the best views in the town. The best views, that is, apart from those that can be seen from Vinegar Hill, which is where the rebels had their headquarters during the 1798 Battle of Enniscorthy (the rebellion against British rule). It’s much more peaceful now, and is well worth a climb to the top. Wexford, the county town, is a fascinating place to visit and makes for a great day out. The place is famed for its culture, and the Wexford Opera House (which hosts the opera festival every October) bears this out, not to mention the Dun Mhuire Theatre and the Wexford Arts Centre. 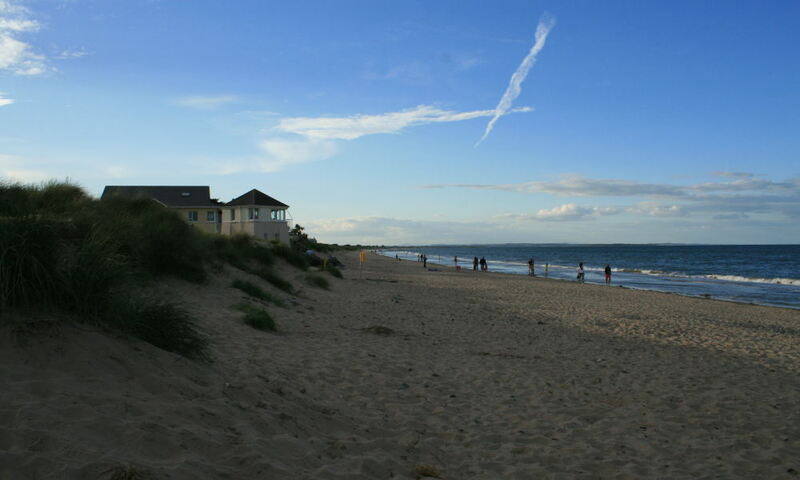 For movie buffs (as well as those who love great beaches), Curracloe Beach needs to be visited. This was where the brutal opening sequence of Saving Private Ryan was filmed, and the locals are extremely proud of the fact. For nature lovers, not only is this beach a must see, but there is also the Wexford Wildfowl Reserve which is located on the interestingly named ‘North Slob’ mud flats. Say ‘Waterford’ and most people will immediately think of Waterford Crystal. This is where it was made from 1783 until 2009, and although the manufacturing no longer takes place here, there is a fascinating museum dedicated to the famous glassware (the Waterford Crystal Visitor Centre). If you visit Waterford, a trip to Reginald’s Tower is essential. Thought to be the first building in Ireland to use mortar in its construction, and the oldest civic building the country, this is an exceptional piece of ancient architecture which dates back to around 800 years ago (and it is still used to this day, as it contains an exhibition on the Vikings). Along with these great attractions, you can also find the Waterford Museum of Treasures, the Municipal Art Gallery, Christchurch Cathedral, the Theatre Royal and more. Book a ferry to Rosslare.